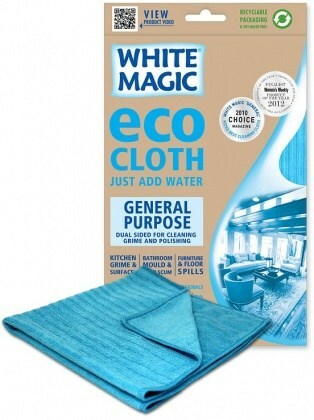 The White Magic Eco General Purpose Cloth is made with dual-sides meant for all-purpose household cleaning. So for accidental spills, kitchen and bathroom counter wipe downs have a general purpose cloth handy and watch it work wonders! Suitable to use for cleaning bench tops, kitchen tables and counters, sinks, and cooking tops.